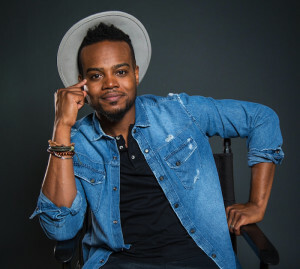 Path MEGAzine > News > Gospel > Travis Greene Achieves Third #1 Song from the Same Album! The chart-topping song is from Greene’s current album, CROSSOVER: LIVE FROM MUSIC CITY, which also recently debuted at #1 on the Billboard Top Gospel Albums chart. With 13 of its tracks recorded in 2017 at Skyville Live in Nashville, Tennessee, CROSSOVER: LIVE FROM MUSIC CITY features all original material, including two studio tracks, “Love Will Always Win” (co-written and produced by Travis with Jason Ingram and Paul Mayberry) and “Finally Found” (co-produced with Bernie Herms). Greene, who launched his recording career with THE MORE in 2007 – shares fresh material with eager audiences in CROSSOVER: LIVE FROM MUSIC CITY, for longtime and new fans alike to partake in an experience that captures the artist’s passion, excitement and charisma onstage — and his ability to reach hearts with the gospel through music. This entry was posted in Gospel, Reviews and tagged Crossover: Live from Music City, Travis Greene by Kris Patrick. Bookmark the permalink.